There is nothing wrong with negative campaigning. Not a thing in the world. In fact, if there’s something wrong with your opponent that the voters ought to know in making their choice, and there’s a reasonable chance they don’t know it, you do them a disservice by not telling them. Something that used to drive me nuts in endorsement interviews is when I’d begin the process knowing little about either candidate, and I’d ask one of them to compare and contrast himself and his opponent. Sometimes, the question was as simple and innocent as, “I haven’t met your opponent yet. What can you tell me about him?” The candidate would get all lofty and self-righteous and say, “I’m not going to talk about my opponent.” My reaction to that was, well, then, why are you here? There have to be reasons why I should endorse you and not the other guy; if you’re not going to help me in discovering what they might be, then you’re wasting your time and, closer to my heart, my time…. What sets me off on this minor tirade is that about an ago in my car, I heard a discussion on NPR about negative campaigning. A caller said he had worked in a campaign, and complained that people seemed unable to distinguish between telling what’s wrong with one’s opponent and “negative campaigning.” Well, pal, there’s a reason they can’t tell the difference — there is no difference, if language means anything. Criticizing your opponent is being negative. Not that there’s anything wrong with that. What’s wrong is misleading, unfair, irrelevant, out-of-context campaigning, or campaigning that plays on the emotions of the electorate, rather than their reason, in a way that is detrimental to one’s opponent’s electoral chances. 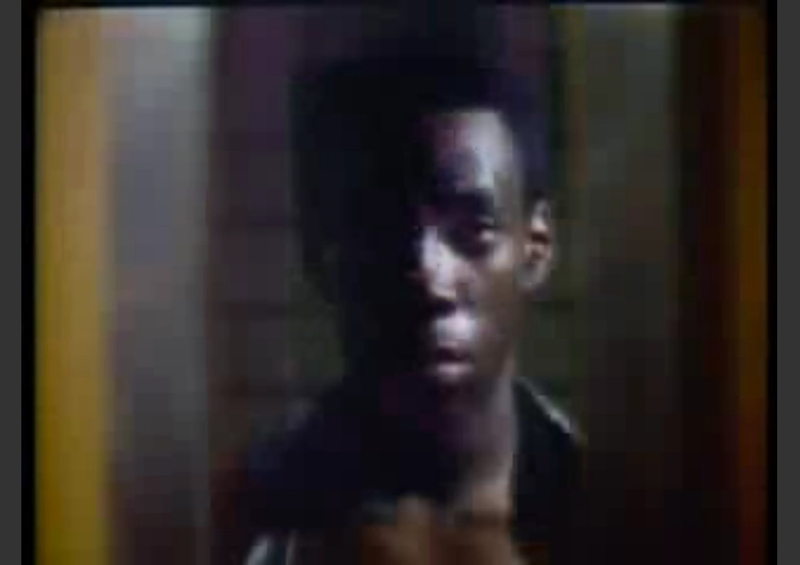 For instance… one of the examples mentioned during the radio program was the Willie Horton ad. What was wrong with that? Well, a couple of things. One, it’s ridiculous to try to condemn a governor because one person let out of jail in a program he supervised committed a terrible crime. If that’s your standard, then we would never, ever let anyone out of prison again, given the recidivism rates. To bring it to the present day, acceptable negative campaigning is for Mitt Romney to “blame” the president for Obamacare, and make it clear that he would try to appeal it. What’s not acceptable is repeatedly lying in saying that the president has tried to do away with welfare-to-work requirements (a false charge that employs another racial stereotype, by the way — the black president who wants to undo welfare reform). Similarly it’s perfectly fine for Obama to accuse the opposing ticket of favoring tax cuts that he opposes (although I could do without the “for the rich” mantra; it gets old). What’s unfair is to blame him for that woman dying. Sometimes, in my more quixotic and masochistic moments, I think about running for office. I think about, just as an example, running against Joe Wilson for Congress (I think of that because I have no major problems with how my county councilman or state legislators represent me). And I imagine how the campaign would go. And I’ll tell you right now, I’d say negative things (how could any writer of my blog doubt it?). But I’d be fair. The way I would approach it would be beyond reproach, in my book. I’d say, first, that I like Joe. He’s a likable guy, and he’s always been nice to me. He sincerely believes in public service, and loves, more than anyone else I’ve ever seen (even Floyd Spence) being a congressman. But… he is a walking, talking, hand-shaking representative of what’s wrong with Washington. He is a perfect representative of the partisanship that tears our country apart and paralyses our national government. If Joe has ever had an original thought that didn’t come right out of the Republican (or more recently, Tea Party) playbook, I wasn’t around when it happened. My beef with Joe isn’t that he cried out “You lie!” We all get carried away sometimes. Why once (although when I was only 4 years old), I yelled right out in church, interrupting the preacher, and to this day when I visit Bennettsville, old folks mention it when they see me. Joe got carried away, and he knew he’d done wrong, because he immediately apologized for it. And so forth. See, that’s relevant criticism. And it’s negative. But there wouldn’t be anything wrong with it. This entry was posted in 2012 Presidential, Character, Civility, Elections, History, Marketplace of ideas, Media, The Nation on August 22, 2012 by Brad Warthen. I stopped reading after this. The Obama campaign did NOT approve the dying woman ad. I could write a nice defense of the ad because it does focus attention on the types of people who do die because of a a lack of healthcare but I’ll save that for another day. Plus the ad in question only ran a few times. However, the Romney ads about welfare were false AND approved by Romney. And the 3 ads in question ran numerous times. There is simply NO COMPARISON between the constant GOP sleaze and the tiny morsal of Dem impropropriaty. It’s not a contest. That’s right. And the Bush campaign didn’t sponsor or approve the Willie Horton ad. I didn’t say it was Obama’s fault; I said it was inappropriate. It was an example of what not to do. You’re being way too touchy. And some of you missed the dog whistle reference to angry black men?! Anybody else realize how boring this blog is compared to what’s been going on over at FitsNews this week? It’s like a FX prime-time police drama series over there and here it’s a 3:00 a.m. CSPAN-2 political infomercial. To me it’s fine if a politician points out legitimate differences between herself and her opponent, as long as it remains true to fact. It can and should be educational. But when a party begins to lie, I head the other way on the grounds that they must not be able to win by having a better arguement since they had to resort to lying. And ad hominem arguements disgust me. SD II, I think you miss the point of Brad’s blog. He’s not striving for entertainment value but rather making an attempt to be a catalyst for a lively, yet informative, discussion of the issues of the day. At least I think that’s what Brad is trying to do. And I think he does a darn good job of it. It always boggles the mind when a candidate is fighting an incumbent for a spot and doesn’t want to post negative ads. There is nothing wrong or shameful to force accountability on the incumbent. If he made that decision he has to own it. Lets be honest, the system is rigged for the incumbent. Lets ignore the whole Statement of Economic issue that was weighed ENTIRELY to incumbents. 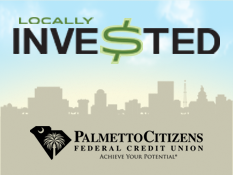 Go to Richland county website. There you will find a free add for every incumbent. It has there picture, bio and link to their personal webpage. On their page they can extol all the good work they are doing or anything they want. They simply cant put VOTE FOR ME on it. To unseat an incumbent its key to go after his/her record and draw distinctions from what he has done to what you would do. If you don’t disagree with his actions after all why would you run against them? For Steven Davis: No, this blog, and all others, are not boring. It is enlightening, even though at times I disagree with Brad. FitsNews is nothing less than a caucasian version of Jessie Jackson (always trying to stir the pot). Don’t change Brad!! Well, Steven, if we’re boring you, feel free…..
We seem to becoming a country of “we” and “they” whether the “we” are the rich 1 or 2% and the “they” everyone else, or the “we” are the god fearing self supporting people and the “they” are those lazy (mostly black) bums. Has anyone noticed that we have only one earth to live on? None of the stereotypes of either side is true, although you can certainly find ‘examples’ on either side. The more we engage in fratricidal war (real or political) the worse the consequenses. Do we really want to re-enact the Hatfields and McCoys? Most campaigning that goes too far IS true. Rare is the case in which the candidate is out-and-out lying. Romney’s claims that Obama is doing away with welfare-to-work requirements are false, but that’s unusual. 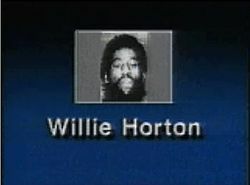 The Willie Horton story was true. It was what Bush supporters did with it that was unacceptable. Also, Tavis, while someone running against an incumbent should hold him accountable for his record, many present votes out of context, and use them in ways that would make a representative just not want to vote on anything ever again. For instance — if you’re running against a fiscally conservative budget hawk who once, for very good reasons, voted for a tax increase, it is grossly misleading to keep hammering on that one vote, ignoring the rest of the incumbent’s record. The FEAR that incumbents have of their votes being abused that way has almost completely destroyed the willingness of elected bodies to make tough choices that, taken in isolation, would expose them to a distorted campaign by an unscrupulous opponent. They fear it because such campaigns are now the norm. The ethical thing is to run against who your opponent really is, and what he really stands for — not some unrepresentative nugget you dug out of his record. Politics is the only career when you get your job based on your ability to smear the other candidate for the position rather than being selected based on your own skills and background. If your best shot at winning is proving the other guy is worse than you are, it doesn’t mean you are very good at what you do. Just marginally better than the awful guy. Anyway, the media depends on the negative advertising. They aren’t really going to do anything that would impact their bottom line. Imagine the types of people who create these ads. They must be real fun to be around. Not much higher on slime scale than used car salesmen. Virtually all political advertising goes to TV. Print outlets have seen some business online, but that’s generally of the type you see on my blog — essentially a banner that looks like a yard sign, linking to the website. All of the stuff you’re thinking of is for TV. And Doug, if you’re running against an incumbent, you pretty much have to give reasons why you’d be better, and that will be mostly about what HE has done, since he has the track record and you don’t. There’s nothing wrong with that. I know you think that a challenger is BY DEFINITION better than an experienced incumbent, but most voters don’t see it that way. They need to be given reasons why it’s not a good idea to stick with the guy they know. I don’t think that… unless by “better” you mean less likely to have become corrupted by the position. Seniority doesn’t translate into effectiveness. There are plenty of examples of useless legislators who have spent decades in office. It’s not a tough job to comprehend. If Joe Wilson can do it, so could you. Surely you jest. How do you think most corporate executives get their jobs? It’s certainly not based on aptitude. Just check out all the incompetents in the banking industry. Oh, I don’t doubt I could do a better job than Joe, although it wouldn’t come nearly as naturally to me. He LIVES to schmooze and politic and do all the little things politicians are expected to do, in terms of constituent service, pressing the flesh, marching in parades, etc. Me, I’d want to go up there and study and implement national policies. It would be all about the legislation. The politicking would be weird for me. And as for playing the games he plays to raise money and such (all that capitalizing on Obama hatred with his “You lie!” notoriety) — well, I just wouldn’t do it. Let me reword that… I don’t doubt that I could do a better job AT THE PARTS OF THE JOB I DEEM IMPORTANT. I wouldn’t be nearly as good as he is at the pressing-the-flesh stuff. Joe is a very ingratiating guy. Try as I might to be friendly, I am by comparison more aloof. Which doesn’t make me unusual. Most people are more aloof than Joe is. If you feel that “it gets old” to continually point out that the GOP’s inclination to make cuts on the middle-and-lower classes to pay for tax cuts for the wealthiest Americans, perhaps you should not blame those who have to keep pointing this out: maybe what “gets old” is the stubborn adherence of the GOP to this policy, steadily now for over 30 years.